Over the weekend I went to Brimfield to see what the postcard dealers had to offer. As usual I was determined to come home with a “find.” But, no. The card that I thought might qualify turns out to be that of a tourist café in Montmartre that is enmeshed in dubious lore and still in business today just down the street from a Starbucks. The Mère Catherine [Mother Catherine] looks so unpretentious on the ca. 1950s postcard that I wanted to believe it was a relatively unknown little café. I doubted I could learn much about it through research. 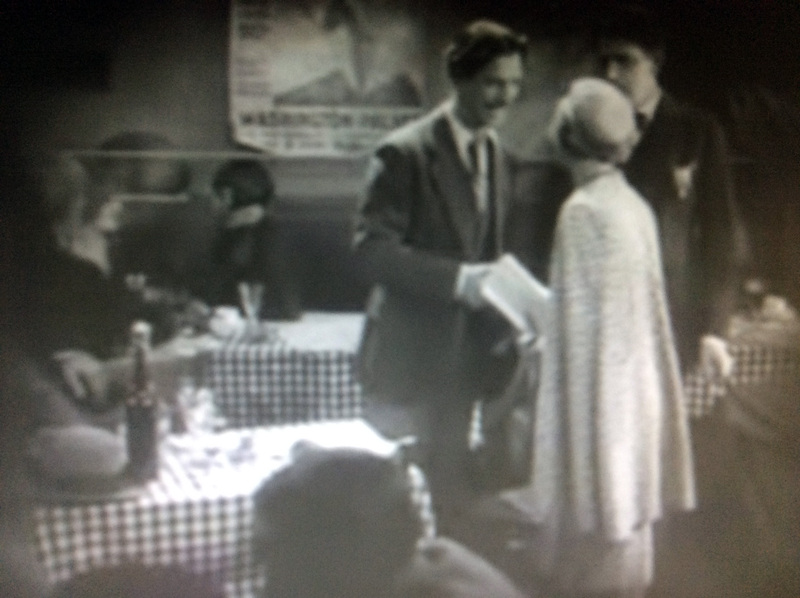 However, instead I found many stories, most of them glorified puff pieces starting in the late 1920s. The stories I rounded up are full of contradictions. Mère Catherine was established either in 1793 or in the 1830s. Mère Catherine herself was either the restaurant’s founder in 1793 and died in 1844 or she was the owner in 1939. As I continued to search for Mère Catherine’s history the more confused I became. 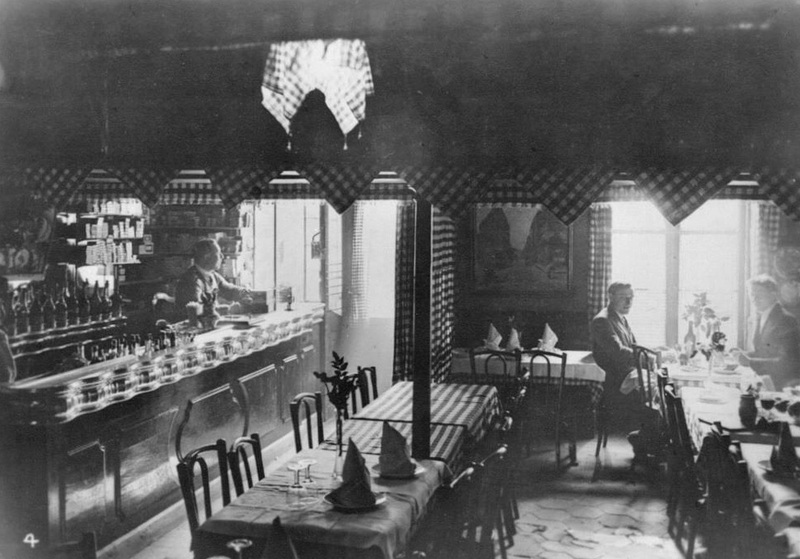 It appears that for much of its history Mère Catherine was more of a drinking place than the eating place it became in the 20th century. One article said it hosted impoverished singers who were allowed to bring food there to eat. An image of the restaurant from 1897 shows the name then as Maison Catherine Lamothe. Might its founder have been the same Catherine La Mothe who was born in 1766 in Bourges, France? Or was there ever an actual Catherine Lamothe at all? 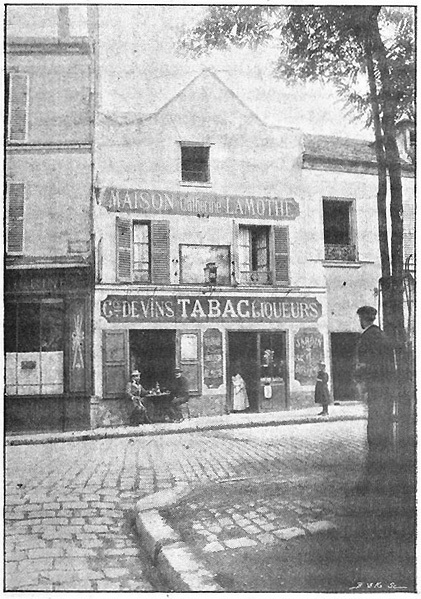 An 1897 publication about Montmartre’s history suggested that Catherine and Lamothe were two different women, both wine merchants on Rue du Tertre once upon a time. After I read that I started to think I could make out a nearly invisible hyphen between the two names on the sign shown on the ca. 1897 photograph above. But maybe I was seeing things. A brief mention of the restaurant at the end of the 19th century described it as an “ancient”, low-ceilinged cabaret that was popular with artists. The same paragraph reported that Mère Catherine left the business to her son who then sold it to someone else. 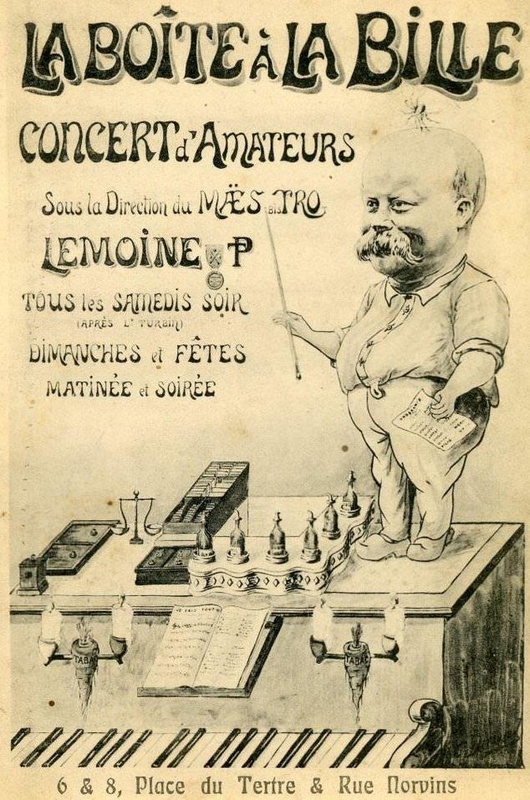 At one point it was owned by a man nicknamed “Gros Guillaume.” In the late 1920s, when it was first publicized by newspaper columnists in the U.S., it was known as Chez Lemoine, and was popular for its billiards tables. [image] During the German occupation of World War II and into the 1960s it was owned by people named Meriguet. In the end, I am skeptical of the legend of Mère Catherine, but don’t know what the real story is either. At least I have one small consolation. The postcard I bought at Brimfield for $2 is being offered on e-Bay for 79 Euros ($86.80). But I’ll be surprised if it gets a bid at that price. It’s still a cool image! Perhaps it was because of all the drinking that the story wound up so muddled? That is an awfully wide range in dates. Frustrating. But interesting place anyway, and maybe partly because of. I end up junking some would-be posts because of unresolvable discrepancies, but this time I decided to make that difficulty the focus of the post. Still, it was hard to admit that the postcard was not a wonderful find! I’ve done the same thing, both the junking and the refocusing. Sometimes it just doesn’t pan out the way you hope. Love it! You are a wonderful storyteller!